We are a leading Wholesale Trader of 1/4" ball valve, 3/8" ball valve, 1-1/4" ball valve, 2" ball valve, 2-1/2" ball valve and 3" ball valve from Delhi, India. We are offering 1/4" Ball Valve. We are offering 3/8" Ball Valve. 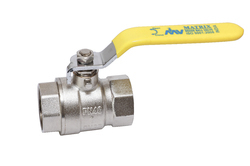 We are offering 1.25" Ball Valve. Min. % 57 1.6 0 0 0 0 Bal. Max. % 59 2.5 0.3 0.3 0.3 0.05 Bal. We are offering 2" Ball Valve to our clients. We offer 2.5 inch ball valve in CP finish. 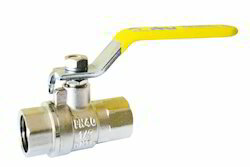 We are offering Brass Finish Ball Valve. We are offering 1/2" Ball Valve. We are offering 3/4" Ball Valve. We are offering 1" Ball Valve. Size From 0.5" to 1.5"
We are offering 1.5" Ball Valve. 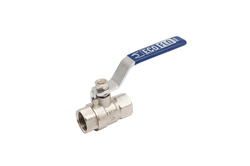 We also offer economin model of Ball Valve under brandname - ECOFLO.